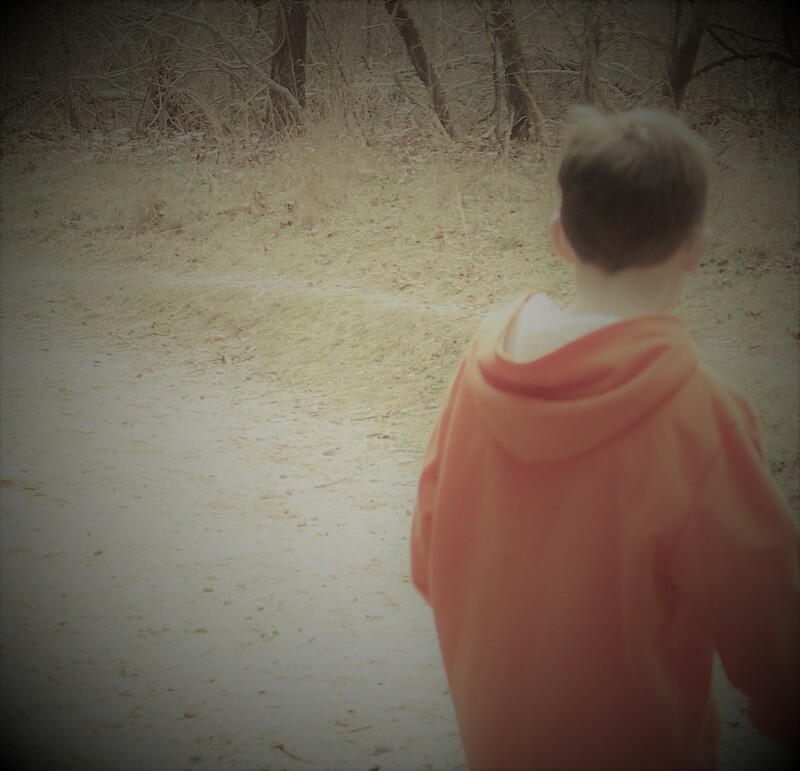 Today’s article is about celiac disease and the 5 stages of grief. Recently I’ve had a few people approach me about being newly diagnosed with celiac disease. I’ve tried to help them by answering all of their questions and pointing them to appropriate resources. Unfortunately, I couldn’t take away the pain they were experiencing. I realized that when someone is diagnosed with celiac disease they often go through the same 5 stages as people who lose a loved one. For someone who loves food, being told that you can’t eat gluten ever again can be a huge loss. The five stages of grief are denial, anger, bargaining, depression, and acceptance. 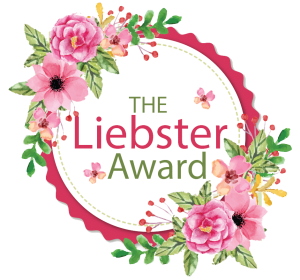 They were first created by psychiatrist, Elisabeth Kübler-Ross, MD. The best explanation of her work can be found in her book, On Death and Dying, written in 1969. She basically saw these five stages as a way that people deal with loss. 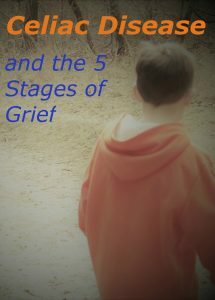 Although people don’t always follow these stages in a linear way, they will usually reach all the stages at some point in the grieving process. Denial usually happens at the beginning for a celiac patient. When the person gets his or her first diagnosis of celiac disease, they will hang on to any idea that maybe it is something other than celiac disease that is making them sick. They will try to get one or more second opinions with the hope that they will be given a different diagnosis that is easier to cure. New celiacs may even continue to eat gluten, thinking that it couldn’t possibly be the problem. Unfortunately, this will only prolong the recovery process. It is always important to get a second opinion, but the sooner people with celiac disease start the gluten-free diet, the sooner they will feel better. Once a person has resigned to their diagnosis, they may feel anger, lots of anger. Every time they are in a setting with food, they may be angry that they can’t eat what everyone else is eating. The holidays can be extremely difficult. With so many holiday parties, get-togethers and the actual holidays themselves. It can be a constant reminder of what they are missing out on. During the bargaining stage, celiac patients will try to make excuses for why they will just cheat “a little bit.” You will hear things such as, “I’ll start Tuesday” or “I have to have cake at so and so’s wedding, christening, birthday or fill in the blank.” You’ll even hear things like, “It’s just one beer, cookie or roll! It can’t be that bad.” This can also prolong or set back the healing process. After denial, anger and bargaining comes depression. During this step, the patient may stop going out to eat because it’s just too difficult to figure it all out. They may also stop socializing because it’s depressing to watch their friends eat all the food they can’t eat. Slowly but surely, as they find more foods that they can eat, celiacs enter the acceptance stage. They may have been following the diet faithfully for a few months now and they’re finally feeling better. Everything becomes worth it. Fewer problems, more energy and accepting friends who are happy to see them feeling better, make them realize this is doable. Honestly, I had a lot of trouble writing this article. Since my family has been on the gluten free road for many years already, I had a much easier time than most people when I decided to go gluten free. As I wrote this article I realized that I was not immune to these stages. I was used to worrying about gluten free options when going out to eat with my family. However, I was not used to asking my friends to consider my gluten free needs. I was not used to skipping the birthday cakes at work and I was not used to missing my favorite food, pizza. I think I am somewhere between depression and acceptance. Being gluten free, I appreciate how much better I feel. I still miss my favorite things and the ability to go out (by myself) and be worry-free. Writing this article made me better understand what I was going through. I hope it helps you or your loved one just as much. Hi, great post, thank you. I was diagnosed just before Christmas last year. Lovely Christmas gift! I’m not sure what stage I’m at. Most days I accept it. But I do still get those pangs of ‘I wish I could have…’ Until I was diagnosed, I had no idea so many things had gluten in them! I feel the same as you. The rest of my family has been gluten free for many years but I just went completely gf about 1 1/2 years ago. I thought it was no big deal at first, but I realized, after writing this article, that it actually did affect me. It’s so much harder being diagnosed as an adult. You know what you’re missing! My husband has Celiac but is asymptomatic mostly, so he refuses to be gluten-free. I’m so frustrated because as a nurse, I worry about him developing lymphoma one day because of his poor choices. But, my nagging only makes him do it more sadly. I know a few people who are the same way. I’m so sorry you have to go through that. I know what it’s like to worry about the ones you love. Yes, I think you are right it can apply to any life-changing diagnosis. It really is worth it to find out what your food allergy is. Once you start to feel better, you will be so much happier. What an honest article. There are many events in life that need to be grieved in order to accept. This is a great example of how using the grief process will allow you to accept the reality of gluten free living. I hope this inspires others to work through their own issues as they arise.